Canadian Network Installations Ltd., CNI, is a full-service telecommunications installation company. Founded on the principles of exceptional quality and craftsmanship, we continue to operate with the same passion and commitment our customers and industry expect. Technology has become an essential component of contemporary life, providing the frictionless means to connect the world. The innovation of leading global companies fuels research and development, and the infrastructure built by both incumbent and competitive local exchange carriers, whether public or private enterprises, allow us to embrace these technological breakthroughs and integrate them into our daily lives. 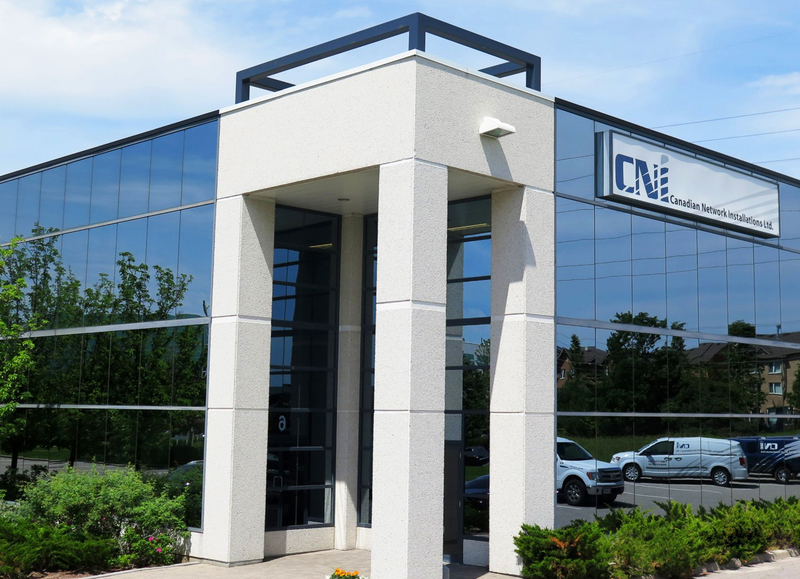 CNI is committed to training with leading equipment manufacturers and collaborating with carriers, which drives not only the expansion of infrastructure, but also the evolution of communications in our country and around the world. CNI is proudly committed and proudly Canadian. CNI is able to provide clients with ongoing advise and recommendations to enhance end product performance. Canadian Network Installations Ltd., CNI, is proudly celebrating its 15 year anniversary of servicing the telecommunications industry! CNI has set the benchmark for network installations and infrastructure support. We provide a wide variety of products and services to incumbent and competitive local exchange carriers, private and public networks. Whether purchasing, pulling, forming, or terminating cables, our detailed management systems will provide enhanced performance of your structured cabling infrastructure. With Pre-installation /Pre configuration services available prior to field deployment, CNI is set up to handle both large volume orders to small custom orders 24 hours a day. No matter how advanced a piece of equipment may be, its functionality starts with a clean and uninterrupted source of power. As a proud vendor partner, our project management team co-ordinates, implements and delivers a wide array of products and services in a timely manner. Our services include Central Office, Customer Premise and or Road Crew Technicians, Internet Data Center, Wireless field and more. As voice, data and video networks continue to evolve, technicians are required to obtain a higher skill set in various forms of media delivery. Distributed Antenna System or (DAS) is at the forefront of conversation. Deployment, installation, testing and turn-up is what CNI’s civil construction team delivers. From Cabinets to shelters, Rooftops to towers, Central Office building or remote fiber locations, CNI provides a full suite of wireless products and services.